July 2 was a Thursday this year, just two weeks ago today. For me it was not a normal Thursday, although I did sign the checks at church for invoices and reimbursements, a normal Thursday event for the last ten years. It was the last normal Thursday in an old normal, as it was my last day on staff at the church I have served since January 2, 2002, the last ten as business manager, aka signer of the checks, aka money changer in the temple. Didn’t you know? Every temple needs one! That’s the way I used to introduce myself to people who came in the door at West Hills Church, including a couple of candidates for our interim senior pastor position. So July 2, 2015, was my last day on staff there, and it was a Thursday. July 6, 2015, began a new chapter in my life. No, it wasn’t a Thursday, but it was a Monday after a three-day weekend for the Fourth of July holiday. I woke up a very different person: for the first time since 1977 I was unemployed. Let me say, it was my choice. I think that is important. I left with a sense of peace, albeit with no sense of purpose. It felt right: the decision, the timing, the reason. So here I am, two weeks later living a very different kind of life. I have applied for a new job. I am preparing to return to Lebanon and Syria for the fifth time in five years. I am spending time letting folks know that I have a different e-mail address and discovering just how many places I used my church email for a point of contact. Note to self: don’t do that again! I am playing Bejeweled Blitz, Yuma Blitz, Pet Rescue Saga and other assorted Facebook games in my moments of solitude. Hey! Everyone needs some down time. But it has been two weeks now. I don’t leave for Lebanon for another week and I was feeling like I needed to produce something. Not spreadsheets for the session so they have good financial information. Not attendance figures for Sunday school and worship. Not editing and proofreading marks on the Sunday bulletin (although it was obvious from last Sunday, that somebody still needs to do that function!). No, today I needed to produce something physical, something that made me feel like I could still create beautiful aromas and flavors and to actually feed people – not the Word – but actual food. Beautiful cipollini onions with thin, yellow skins would be my target. I set out on this hot, humid, sunny day in Omaha, Nebraska, to find them at the grocery store. The clerk at the store wondered what I was going to do with that bulging cellophane bag of onions, so I told her. “We’ve got pickled onions at our olive bar,” she explained. So home I went with my five pounds of aromatic layered gold. I blanched them, adding another layer of yellow coloring to the pasta strainer, dumped them in an ice water bath and then squeezed the usable part of the onion out of its skin. A couple of hours later I had this treasure, not in clay pots, but in six one-pint Ball jars. For thirteen years, my dear spouse St. Stephen has been the chief chef at our house. I like to cook. He loves to cook. He finds peace in the kitchen at the end of day of architectural drawings and meetings and trying to please clients. But he has been so busy lately and I have been, well, unemployed. So today besides shopping for pickled balsamic cipollini onions, I shopped for macaroni and cheese. 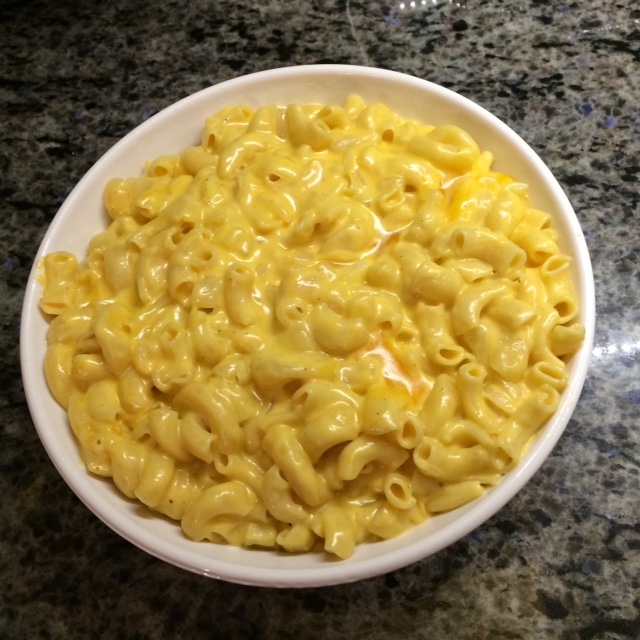 No, not the blue box my family grew up with, but the creamy, cheesy, homemade kind. Half and half. Sharp cheddar. Colby. Large elbow macaroni. Butter. Onions. I love to care for people, including my family. But I also I know that Thursdays are just Thursdays. I know that my old normal and my new normal are the perception of a well-resourced, finely educated, blessed married woman in a first world country. When I put on the glasses of my sisters – equally educated, equally blessed and formerly well-resourced – in a part of the world that had the same economic advantages of my country until years and decades of war caused their worlds to collapse, I stopped in my tracks. Their new normal is not of their own choice or their own making like mine has been. And so in the midst of onions and macaroni and cheese, I pray. I pray that they, too, will come to have a Thursday like this. A Thursday of sunshine and humidity. 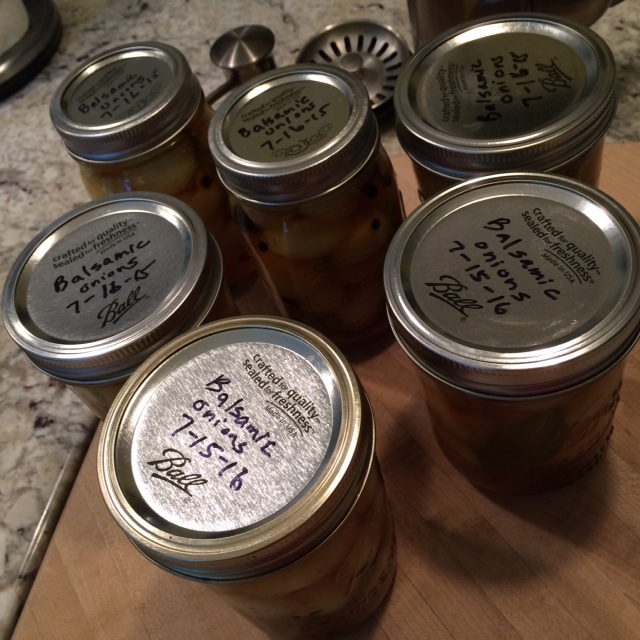 A Thursday of pickling onions or making jelly. A Thursday of sharp cheddar cheese and creamy sauce as they wait for a hard-working spouse to come home. I pray that their new Thursday normal will be like their old Thursday normal. The mac’n cheese was delicious! Colorado is calling and our own overloaded bookshelves will need to be packed up. Waiting on Home Inspection and then signing at closing… 14 August we officially become homeless (packing out that week) and on 23 August after worship, we begin our trek to Colorado! Moving from the hot summers to the cold winters. You are courageous in your calling. 🙂 If you are going through Omaha on your way, this house is open for you! Dona nobis pacem. Thank you ❤️❤️ Haven’t mapped out a route yet!